This was a fun project. 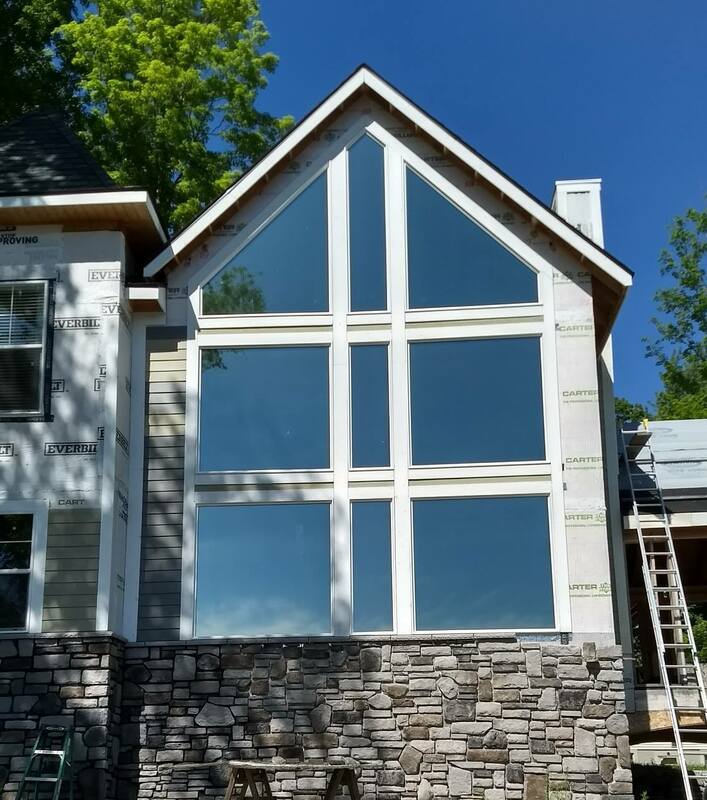 The owner of this beautiful home on Secord Lake in Alger, Michigan was in need of heat reduction from the excessive sun flooding in through these southern and western facing windows. However, with a view like this you certainly do not want to degrade visibility through the windows. After consultation, we decided upon a Vista Dual-Reflective window film called V18 Celeste. This film upgrades the existing windows to significantly reduce the heat and glare while still allowing visibility through the glass. As you can see from the pictures below, the view is not only now negatively impacted, it is actually enhanced. This homeowner was thrilled with the final outcome and the performance of the film. If you would like more information about using home window films for heat reduction and many other uses, click HERE. You can also give us a call today at our Roscommon, Michigan office at (989) 275-3868, or Contact Us using our online form submission for an absolutely free, no obligation consultation and quotation on implementing home window film. Our service areas include Traverse City, Grand Rapids, Cadillac, Petoskey, Roscommon, Ludington, Michigan and the surrounding areas. Do you service East Tawas? Sorry for the slow response! Yes we do service East Tawas.